We provide reliable and affordable babysitting services in Charlotte. At Fiv5 Star Cleaning, we know that busy parents need extra support. We are dedicated to providing a variety of home cleaning and care services to help your household run smoothly. In addition to traditional cleaning work, we are pleased to offer babysitting to customers in the Charlotte, North Carolina area. Whether you need a break for date night or have appointments during the day, our staff is here to help you care for your little ones while you take time for other duties. Babysitting is an essential part of our services to help make your life run more smoothly! You can rely on our well-trained and trustworthy staff to take care of your children. 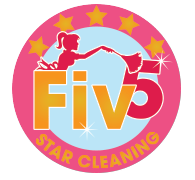 Fiv5 Star Cleaning is a local company. We pride ourselves on high-quality service in Charlotte, and we know each of our staff members personally. Our staff is trained by the owner to ensure quality and reliability. Our babysitting services are designed to help you simplify your life. We know there is much more to running a household than keeping it clean. That’s why we look to provide additional services we know that families in Charlotte need. You can rely on us to provide impeccable service to keep your family happy and carefree. Contact us to learn more about our babysitting services. You may also be interested in additional services we offer to help make your life simpler. These services include a variety of house cleaning services, dog walking services, and laundry services. Let us know how we can help you in your home! At Fiv5 Star Cleaning, we offer babysitting services in Charlotte, Concord, Cornelius, Gastonia, and Mooresville, North Carolina, as well as Rock Hill, South Carolina.